Despite these interconnected threats to life and hope, God’s creative work continues. Despite the ways we all contribute to these problems, God still invites each one of us to participate in the work of renewal. I caught glimpses of a flat, blue sky pasted with cotton ball clouds as I walked up the steep hill from the bus stop towards the meetings rooms at Jogakuin University, our United Methodist women’s college in the heart of Hiroshima. Founded in 1886, the same year as my own institution where—at the time—I served as a college dean and professor, it felt a destabilizing familiarity. College students streamed past me moving between classes and in and out of institutional buildings contoured to the hillside. My own United Methodist college thousands of miles away in the mountains of north Georgia could comfortably have sat beside their Japanese counterparts on this verdant rise. But, that familiarity originated, in part, the destabilization. In a foreign land so far from home, I had not anticipated encountering the familiar. Unexpectedly destabilized, I ascended the stairs into the assembly hall, took my seat, and awaited the opening meeting of our International Association of Methodist-related Schools, Colleges, and University’s tri-annual conference. The event that brought me to Japan was IAMSCU’s conference exploring peace, reconciliation, and human rights. IAMSCU is an organization begun in 1991 that links the more than 800 Methodist-related schools from around the world into a single network. Their tri-annual gatherings bring together representatives and scholars from these institutions and their denominational partners for planning, support, and enrichment, deliberately seeking to further the work of the Wesleyan movement that links the heart of faith with the wisdom of the academy to the needs of the world. Out of this practical spirit, the 2014 IAMSCU conference sought to draw the gathered’s focus onto how our institutions individually and collectively might further peace, reconciliation, and justice. Nearly 70 years removed from another moment when this Japanese city was the epicenter of world attention—attention brought not by peace but war, not by reconciliation but by division, not by justice but by horror, the city of Hiroshima proved an effective way to concentrate our thoughts on these enduring, worldwide issues. Perhaps most poignantly, our conference hosts underscored the mix of the familiar with the unexpected that characterized my experience and the importance of this conference and our common, connecting conversations that emerged from it. 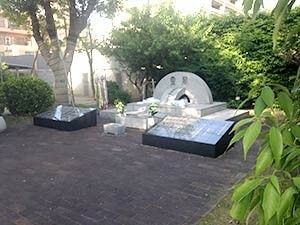 Several United Methodist schools have been in Hiroshima for more than a century. As Methodists are want to do, our schools are not there alone. A faithful and vital local United Methodist congregation partners in service with the schools. These schools and the congregation mark the familiar in an unexpected place. To be honest, until learning of this IAMSCU conference in Hiroshima, I was unaware of our denomination’s long presence in the city, a presence I am certain remains absent from most American United Methodists’ consciousness. Our collective unawareness of our shared Methodist connection not only describes today but certainly characterized most of our forbearers’ cognizance more than 70 years ago about the city when it was caught in the tumult of war and that conflagrating August when it became the seared center of international concern. Yet at that time and in that city, the familiar and the unexpected connected, again. In the crowded city center in 1945 along with the three Methodist girl’s institutions and the Hiroshima Methodist Church, an Emory University educated Methodist minister and his family shared life and faith. Rev. Kiyoshi Tanimoto had left Japan many years before to study at Candler School of Theology and, then, returned to Japan to serve in the Methodist conference. Again, for me, the familiar and the unexpected destabilized. Not only had I come to learn that Methodist folks were in Hiroshima, that they had started schools and churches similar to where I lived, but, now, I learned that their pastor was trained at a Methodist seminary only a few hours from where I worked. As I walked the halls of the United Methodist high school and university, spoke to students and faculty, and heard the stories of the Methodists whose lives ended or were forever reshaped under the weight of a 15 kiloton bomb, my mind reflexively bounced back to the hallways in Georgia where my students move for classes, to the faces of those with whom I work, and the stories of those lives that populate my days. The familiar paired with the unexpected stretched my thinking while paradoxically shrinking my world. Having had time to reflect on my experiences from my time in Japan, this stretching prompted by the unexpected and shrinking supplied by the familiar are certainly the most enduring features from an invaluable conference that is bound firmly to my soul, forming tethers that pull open my theological imagination. That place and people as much as the content and substance of the conference encourage my imaginative reappraisal of our church and world in the past yet it challenges me to consider those unexpected connections that linger below my consciousness, today. These considerations encourage my thinking about ways and places and people and possibilities where connections exist and work is to be done and partners might already be in place that I have overlooked or failed to even consider are there. 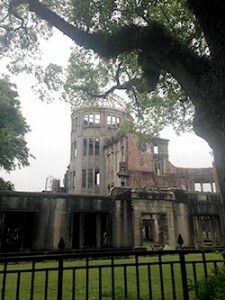 While effective, a trip to Hiroshima should not be what is needed to offer such revelation. This season of the year is a time in which we are regularly and ritually reminded that God takes the most familiar event in a baby’s birth to do the most unexpected of things in the transformation of creation. In a world filled with familiar concerns and problems and issues and need, an unexpected solution might be precisely what is needed and might be already at hand should we only have properly formed imaginations to see the connections and solutions that have always been there. Dr. Timothy Moore is an Ordained Elder in the WNCC currently serving as Director of Collegiate Ministry Resources and Training at the General Board of Higher Education and Ministry and an Adjunct Associate Professor of Religious Studies at Young Harris College.